Practice was the foundation for everything we did in our program. Therefore I told our players, "Practice is a privilege. If you're not here to work, then leave." We spent much practice time working on end-of-the-game situations. Anytime we got the ball late in the game with the shot clock off and the score tied, we were going to win it at the buzzer or at the worst go to overtime. We would start our offensive more with eight seconds left on the clock; that left a couple of second for an offensive rebound if our shot missed. In most instances, I didn't want to take a time-out in these late-game situations. After all, we had worked on these things in practice and knew what to do. Calling time-out allowed the opposing coach to set his defense and make some defensive substitutions. If one of our players took a charge, or dived for a loose ball, or hit the floor fighting for a rebound, his teammates ran to help him get on his feet. If it happened in practice, the coaches also assisted him. The player took the fall for all of us, so we should show our appreciation. We did not include plans about the return trip. We wanted the players to focus on the reason for going on the trip in the first place and not worry about what time we would get home. They received the return trip information in the dressing room after the game. To improve shooting mechanics, we'd have our players stand fifteen feet from the wall and shoot the ball at it. If the opponent had the ball in a tie game with the shot clock off, we weren't about to back off defensively and let it hold the ball without a problem. "Our former players still talk about how serious we were about this. Players knew I used to arrive early for meetings and practices, and I expected everyone to be there and ready to go. Tardiness is the height of arrogance. In effect, you're saying, 'My time is more important than yours.' Being on time is being considerate of others. We disciplined our players for being late. This went back to our philosophy of not having many rules but enforcing the ones we had. Being on time was one of them." Although I don't think many of our players listened to me on this one because it was so hard to do, I didn't want our players looking at the scoreboard and worrying about the score until there was five minutes left in the game. At that point managing the clock became an important factor. When the horn sounded for a time-out, we expected our players to sprint to the bench. The same held when they were taken out of the game for substitutes as well as when they left the court at halftime. If we were fouled at our defensive end of the court, I wanted our players to sprint to the other end to take the foul shot. We discouraged it in our program. When a player cursed in practice, the entire team ran for him. This is not an easy subject to talk about because it can sound pious. I’m not offended when other people use profanity, and I’m certainly not suggesting that not swearing makes me better than anyone else. However, I believe to this day that anger can be expressed without using profanity. We checked on the class attendance of our players, as well as their grades and academic progress. They knew we were serious about it. Our basketball team was on television constantly, and millions of people got their first impression of North Carolina from the appearance and behavior of our basketball team. Therefore I wanted our players in coats and ties for road trips, and they also dressed and acted accordingly when we stayed at fine hotels. Unless a player could show me that he could hold the basketball in one hand and pull it back once the arm and shoulder moved forward in the throwing motion (none could), I insisted he use two hands to throw the ball inbounds. I wanted our players dressed the same. We had water breaks during our practices, and they were timed on the clock -- exactly two minutes. 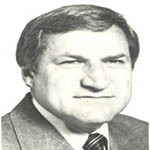 Coach Dean Smith is a basketball coaching legend who lead the University of North Carolina Tar Heels to two national titles and 876 wins from 1961 to 1997.